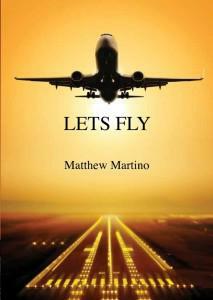 Lets Fly pilots manual by Matthew Martino Ever wonder what makes an aircraft or helicopter fly? The answers are right here. Matthew takes you from the ancient dream to modern-day reality and explains how each of these marvellous inventions work. You will not only understand the deep satisfaction that pilots get from commanding an aircraft in flight, but you will get an idea on the inevitable risks involved. No matter what it is that fascinates you about flying – its promise of freedom, its beauty, its precision and science, or the prospect of adventure – you’ll find it all waiting for you in this book. Lets Fly Academy is now offering this wonderful pilots manual Lets Fly FREE until 31st October 2014. This book will be posted out to anyone interested in flying/aviation enthusiasts or trainee pilots in Europe. This book has already been well reviewed and acclaimed for containing very vital information in just 70 pages. It covers Basics of Flight, Flight Controls, Fear of Flying, Weather, Aeronautics and Aerodynamics in flight.